Ever since Nintendo announced there would be multiple DLC fighters added to Super Smash Bros. Ultimate, there have been rumours and predictions about the next lot of characters on the way. One reported "leak" that gained plenty of traction, originated on the Japanese textboard 5channel. It was all because the apparent leaker posted information that was then officially confirmed. At the time, the individual allegedly revealed more information about Joker's DLC fighter pack. The other part of this leak made reference to Erdrick from Square Enix's long-running Dragon Quest series - a character depicted as a recurring legendary hero who wields a sword and is skilled with multiple weapons. Not long after this, a "reliable dataminer" supposedly revealed the codenames for the upcoming DLC Season Pass fighters. Based on the information provided in a ResetEra post dating back to the start of this year, the first was "Jack" - suspected to be a reference to the Persona series, and the second was "Brave" - an apparent reference to a Dragon Quest hero. In Japan, this class is called Yuusha, which directly translates to 'brave' in English. "Packu" - a codename for Piranha Plant was also spotted directly below this. Following the recent release of Super Smash Bros. Ultimate version 2.0.0, dataminers have now noticed the codenames "Jack" and "Brave" have both been removed from the game's source code. Either Nintendo is now trying to cover up any evidence, or the codenames were no longer needed. If this is what we're led to believe, we're guessing Nintendo will be a lot more cautious in the future when selecting codenames. What do you make of this? Would you like to see a character from the Dragon Quest series represented in Super Smash Bros. Ultimate? Tell us below. But still excited to see Joker and the rest of the DLCharacter! Another important thing to note is Dataminers also found a 3rd codename used to take Piranha Plants space titled "Heart" Some people think this could be Sora from Kingdom Hearts. But a bunch of other degenerates believe this could very well be an Undertale character. Which if Shovelknight and Shante couldn't make it in as playable characters, there's no way an Undertale character is making it in. Personally considering the first enduring rumors of a Dragon Quest characters being related to the codeword "Brave"(which used specifically the spelling associated with the "Hero" class from Dragon Quest) and so on I wouldn't be surprised if that was furthermore a sign the rumors were true. @patbacknitro18 That would be 2 additional SE characters. Not unheard of, but seems unlikely. As for Undertale, it is pretty odd that it's the only one that even got to reference Smash at any point (Sans talking about the characters and how dark it is). But, I'm also now going to look up things about Panel de Pon for Lip, because I know a heart is one of the types of blocks. Edit: More fairies than block types plus Lip is specifically tied to flowers. how are any of those 3 codenames related to the characters? @patbacknitro18 With Sakurai, anything is possible. If Sans got ito freaking Smash I’d be so confused and happy simply because it would be so funny. Arceus dang it, Merida was deconfirmed. Subscribe if you are sad. @MH4 Except that Sakurai only added a select few Indie game spirits/assists in the game, and absolutely nothing from undertale. So even he doesn't view the series as being important enough for Smash. Unlike Shovel Knight, a game Nintendo openly admitted they loved. @KingBowser86 True, but that is if Brave is still a sqare Enix rep. It's possible Brave refers to a Dragon Quest character, or it could be from a different series entirely. But Heart just seems like the perfect codename for Sora. But again that could entirely be a coincidence and it could be referring to something else. @patbacknitro18 It could also be that Sakurai wants to maximize the surprise as much as possible if Undertale ends up in Smash. After all, there aren't any Persona or Atlus spirits in Ultimate, yet Joker's coming nonetheless. 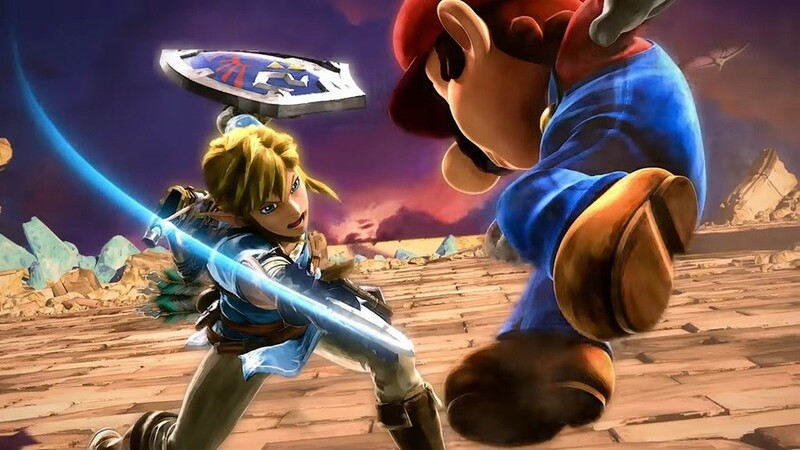 I never thought Cloud would make it in Smash, nor did I think Joker had a chance, so at this point anything could be possible. Undertale is such a phenomenon it wouldn't feel too out of place in Smash--at the very least it could provide some awesome music. My point was, an Undertale character is unlikely but not impossible, and I wouldn’t be mad if there was one. @MH4 No but Persona is part of Shin Megami Tensei series which started on Nintendo and Cloud did make it to other Square Enix related games that were on Nintendo's platforms. @MH4 While true, especially for Sonic. What do all of those games have in common that Undertale doesn't? All of those games are made by big AAA companys, not 1 small indie developer. If an undertale character can get in Smash, then so can Freddy Fazbear, and Slenderman, and Sonichu. Yes, even Chrischans OC Sonichu has a chance of being in Smash since his father proved that Sonichu was legally his own original character. @ilikeike Then again, Sakurai didn't pick the DLC characters. Nintendo did. And so far Nintendo hasn't been as openly fond of Undertale as it has been with other indie projects like Shovelknight and Shante. So why would Nintendo save a spot for Undertale, which could be used for the MANY other 3rd party companies developing for them? @ilikeike Historically, western characters aren’t considered for Smash. There are only three Smash characters that originated outside of Japan (Diddy, K Rool and Dark Samus) and they all have ties to existing Japanese franchises. Again, PLZ DON'T FLAME ME! I mean, you didn't have to call Undertale fans degenerates. Undertale tells a much better story than any Kingdom Hearts game and I'd be very happy with a rep from that game. @patbacknitro18 @thesilverbrick I'm quite aware of all the things stacked against something like Undertale! The only reason I think it would have any chance at all is because of Nintendo's push for indies, Undertale's popularity in Japan, and Sakurai's personal fondness for the game. There's plenty of other characters I'd love to see before something from Undertale, trust me. However, if Nintendo decides to buck the trend of focusing on Western characters for Smash, I'd love to see the reaction if the only non-Japanese character added in is Sans! @ilikeike I was hoping Shovel Knight would’ve made it in as a playable character, but if not even he could make the cut, I highly doubt any indie will this time around. @ilikeike But when has Nintendo pushed for an Indie character to be playable in Smash? Even it's oddest characters have a reason for being in Smash. Like Cloud to promote the FF7 remake. And chances are Joker is going to be used to promote a Persona 5 Switch port. @Spudtendo That is VERY debatable given that Undertale's character have far less character than a grain of sand from Agrabah. All of Undertales character can be summarized by 1 character trait throughout the game. The story is so short that you have almost no time to actually get to get attached to the character. I mean so many people act like the first death of the game is heartbreaking. But honestly, you spend maybe 10 minutes with that character and you can kill her so quickly that it feels like nothing. Undertales story does not deserve the praise it gets. @thesilverbrick "if not even he could make the cut, I highly doubt any indie will this time around" Exactly. @Andrew_R_2000 I’m not a Camilla fan but I fully believe the problem isn’t too many FE reps, it’s too many FE sword using reps. Most FE lords tend to be sword users, hence the problem, but an axe or lance user would be fine for Smash, it’d play very differently. Meanwhile, Marth, Roy, Lucian, and Chrom are all way too similar in playstyles - they have their differences, sure, but they just aren’t enough. I’d love it if we had Hector it, god forbid, Ephraim (who never gets any love). And if we aren’t limited to lords/avatars, then there’s a ton of variety, from manaketes to bards! Tiki? Nils and Ninian (as a combo)? Of course, that won’t happen, but my point is, the biggest problem is we just keep getting variations on Marth, and most aren’t even considered echoes when some echoes differ from their base character much more! Okay here’s who I wish to see that I think would be cool. They’re characters that people don’t really talk about. King Boo (Mario), Prof. E. Gadd (Mario), Slippy with Peppy as an Echo (Star Fox), Tails (Sonic), and Urbosa (Zelda). And give the Inklings an Octoling skin already. @KingBowser86 Do people really give a kopjihygutfrdt about a character from Kingdom Hearts or Undertale? I'd prefer a representative from a Nintendo franchise. @patbacknitro18 and you think KINGDOM HEARTS of all games has a good story? I enjoy the gameplay, but those games feel like they're written by a bunch of middle schoolers writing fanfiction. Same. I don't want this game's entire DLC roster to consist of third party characters. Especially if they're all going to be weeb bait. @Spudtendo Not good, but better than Undertale in every conceivable way. The story of Undertale is poorly written, characters are as basic and bland as they can be. the message of the game is flawed for many reasons (1 being the fact that every enemy type looks the same as each other and have the same favorite things despite the game trying to tell you how they are unique when all it does is stereotype the monsters.) It's just a very flawed and overhyped game. I'm sticking to the rumor that Brave referred to a Dragon Quest character (I would prefer a generic blue Slime over a human character myself but it's whatever). I feel that given the clout DQ has in Japan (and the fact that every mainline DQ game originated on a Nintendo platform save for 7 and 8 which are now playable on 3DS in their best renditions) it's a wonder it hasn't been represented yet. Also, no to Undertale. Overhyped to the extreme. Good thing Nintendo's picking the DLC characters. If it was up to Sakurai, we'd be seeing the code names "FEsword1", "FEsword2", "FEsword3", "FEsword4" and "FEsword1Echo". @patbacknitro18 I will twerk if this is a hint at Sora. I'll do it. Well, it's pretty clear these files weren't intended to be included in the build. I do hope "Brave" refers to Erdrick! Brave could refer to Bravely Default, which will cool to have a character from that franchise. I prefer characters that aren't bland, so any of the four characters (Tiz, Agnes, Edea, Ringabell) will be welcome. Guys 'brave' is clearly a code name for a very brave little guy - Chibi Robo! He's joining Smash and returning with an HD remake of the original game for Switch! And 'heart' is clearly a reference to the game we all "heart" the most - The Thousand Year Door! Yup! Paper Mario is joining smash and TTYD is also getting an HD remake for Switch! Then it'll be the original Advance Wars trio as one character that flips in and out like Pokémon Trainer. They're bringing the series back on Switch! The last one: actually is Shovel Knight! He's being upgraded! Guys I just had the most wonderful dream! "Brave" might be for "Brave Fencer Musashi". @patbacknitro18 Now you’re just trolling. Sonichu is most definitely not a character who originated in a video game, despite being based on two video game characters. And yeah, Freddy does have a non-zero chance, doesn’t he? Thanks for stating the obvious. And who the gosh-darned heck cares if the DLC is indie characters? If they’re popular enough, Sakurai may just put them in. Ridley, King K. Rool, and the Belmonts are only in because they were popular picks among fans. If the DLC is being picked based on this, many indie fighters have a higher chance than you’d think. I’m sick of this argument. I’m not even trying to argue, but you’re making this an argument. Lol: The first thing I thought when seeing this article was "removing 2 names is far more important then removing the save-file destroying Piranha plant glitch". But its a bit different I see. "Ridley, King K. Rool, and the Belmonts are only in because they were popular picks among fans." They are also in because they are popular AAA characters, none of which are made by Indie developers. Also, DLC characters have never been said to be picked based on popularity. Mainly because Sakurai isn't picking the dlc characters like he did for the base roster. Nintendo made a list of characters they wanted in the game, and Sakurai is looking over the list to see who all he could make playable. And I have a hunch that no Undertale character was even considered to be on that list, let alone any Indie character when they have a vast sea of their original and AAA 3rd party characters to choose from. If neither Shovelknight nor Shante could make it in as playable characters, theres no way at all an Undertale character is making it in. @patbacknitro18 unless monster Hunter figher is coming then that could be brave if you can stand up to dino/monster like things. @mj2k18 It's shocking how much KH is liked. Disney Loyalists. KH1 was excellent, but it tapered off at CoM and 2, so I don't know how people have stomached all of these side games. Undertale is hard to gauge. Did people like the game (tellin' ya, Nintendo would love that it's an Earthbound/Mother homage) or is it just for memes and will soon fade after Deltarune's novelty wears off? Who knows. 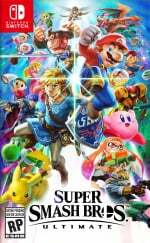 Could be a Nintendo property, but I think everyone is thinking third parties based off of the "emblematic" comment regarding the DLC choices. I was about to say that all that was left of my hopes for a good datamine was one joke I kind of regretted doing, but mad props to @patbacknitro18 for that one little word he posted. Also, if the devs don't want leaks, they should stop adding this stuff in the code, and this article is proof of a step in the right direction. Surely I can't be the only one thinking this? @patbacknitro18 Are you assuming that my main man sans is not in?!?!?!? @patbacknitro18 As much as I want it to happen, I don't think Sora is happening anytime soon. He's also licensed by Disney alongside Square Enix, which is a whole other copyright hurdle I don't know Sakurai is willing to jump yet. Plus Square probably isn't including more than one representative from their major franchises this time around. @Andrew_R_2000 if i were to guess, id probably say hector to tie in with the fe heroes event.